Long week, right? 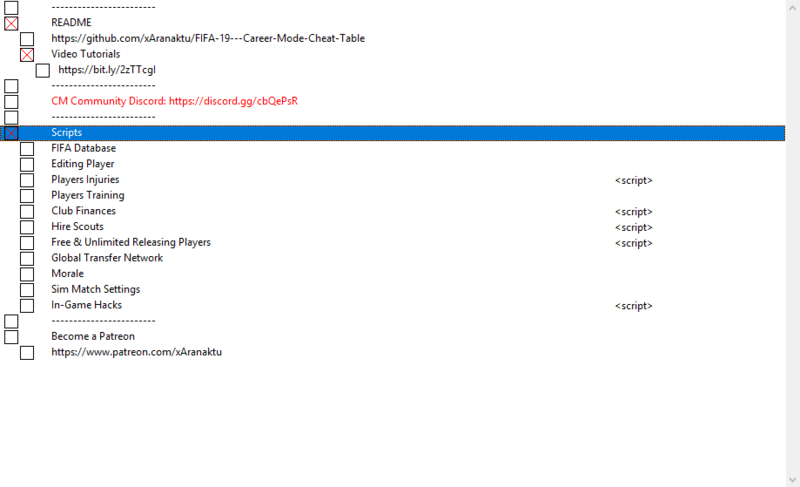 FIFA Career mode cheat table is back again. Play FIFA 19 on your rules. CM Cheat Table is designed for Manager career mode. Scripts may work or may not work in player career mode, especially if you are using player created by your own. I don't care about the journey mode, sorry. And as last year, cracked version is not supported and no, it doesn't mean that cheat table is not working with cracked version. Just if something is not working then it's because you are using cracked version. I hope it's clear now. To run this tool I recommend you to install Cheat Engine 6.7 or newer. Last edited by Aranaktu on Fri Oct 05, 2018 6:12 pm, edited 2 times in total. Does not load players value, how can I make it work? Last edited by enzo109 on Sat Oct 06, 2018 4:55 pm, edited 1 time in total. 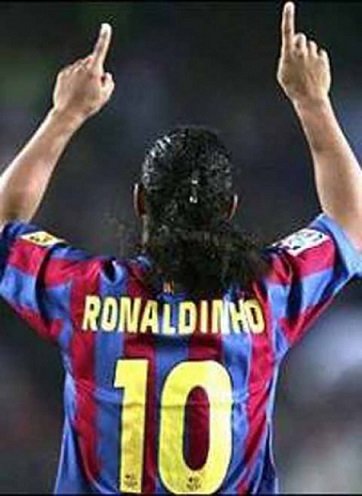 thx thx thx, we wait a long for this now can play career mode. Any option of "Database table" appears with "????????" in Address. Only happens with "Database table". Thanks Aranaktu!! The latest update is working perfectly. Hello and thank you very much for your work, Aranaktu! Is it possible to change a player’s position without harming other players? This is possible only in the "FIFA Database", but when changing positions on the "RW" (for example) almost all the players in the team change positions. Is it possible to do something or is it worth waiting for updates of the table? Thank you in advance ! but when changing positions on the "RW" (for example) almost all the players in the team change positions. Don't tick the box, it changes the setting for every player in the game.